February 27, 2017 — Links International Journal of Socialist Renewal — At the 28th Summit meeting of the African Union (AU) held in Addis Ababa, Ethiopia, on 30 January 2017, Morocco's readmission to the continental body generated heated discussion. At the end of the day the Kingdom of Morocco managed to win over sufficient member states on its side and it was allowed to join the fold unconditionally. Morocco left the Organization of African Unity (OAU), precursor to the AU, in 1984 after the OAU recognized the right to self-determination and independence for the people of the Western Sahara and admitted the Sahrawi Arab Democratic Republic (SADR) that was proclaimed in 1976 by the Sahrawi people's Polisario Front. It was in keeping with the OAU principle not to recognize the occupation of any part of the continent that it admitted the SADR to its membership. While SADR claimed sovereignty over the Western Sahara territory, Morocco saw it as an integral part of its own territory. Thus, rather than accept SADR's independence, Morocco left the OAU. March 11, 2012 -- Green Left Weekly/Links International Journal of Socialist Renewal -- After two decades of political deadlock, Africa’s oldest refugee population is losing faith in UN mandated peace negotiations. “No one will give us our freedom — we must take it!,” Sahrawi journalist Embarka Elmehdi Said told Green Left Weekly. Said sees little hope for a peaceful resolution to the crisis that has gripped Western Sahara since its independence from Spain in the 1970s. Tagiyou Aslama. Photo by Alan Bain. March 20, 2011 -- Links International Journal of Socialist Renewal/Green Left Weekly -- Western Sahara is the last country in Africa awaiting decolonisation. Invaded by Spain in the late 19th century, in the early 1970s mass mobilisations heralded the birth of the modern independence movement. In 1973, Popular Front for the Liberation of Saguia el-Hamra and Rio de Oro (Polisario Front) was established to wage an armed independence struggle. By 1975, the dying days of the Franco dictatorship, the Spain had been fought to a standstill. However, rather than allow independence, Spain made an agreement with neighbouring countries, Morocco and Mauritania, whereby these countries would occupy Western Sahara while Madrid would retain access to its maritime resources. 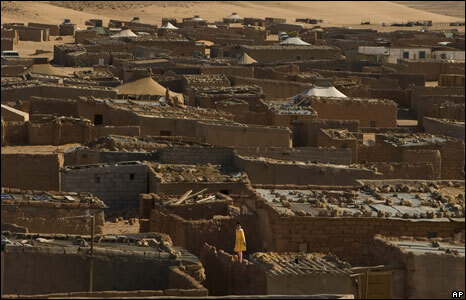 Many Saharawi fled to refugee camps on the border with Algeria. However, most of the men returned to fight for independence. On February 27, 1976, the Polisario Front declared the Saharawi Arab Democratic Republic (SADR). The delegates included representatives of Movements of National Liberation, parliamentarians and political figures, Trade Unionists, representatives from different associations dealing with Women, Peasants, Youth and Students, Lawyers, Sports and Culture. In keeping with their commitment and convictions, and faithfulness to their history, they resolved to support the Sahrawi people, and their sole legitimate representative, the POLISARIO Front and its state, the SADR, a founder member of the African Union. On this joyous occasion, the gathering formed a single, common delegation to take part in the official celebration of the 34th anniversary of the proclamation of the RASD on the 27th February 2010 in Bir Lehlu (a Liberated Territory of the SADR). A documentary on Western Sahara refugees marks a low point, Kamal Fadel writes. July 1, 2009 -- Last month in Sydney, the notion of democracy took a pounding. The launch of the documentary Stolen at the Sydney Film Festival marked a low point in local film culture, and signified the tenuous grip on truth we now have in contemporary society. That such a film should be financed with about A$350,000 of public money –- through Screen Australia -– and accepted by the prestigious festival raises questions about the nature of reality and on how it is depicted in mainstream media, such as through the medium of the film documentary. The film purports, in a sensationalistic way, to reveal widespread evidence of racially based slavery in the Saharawi refugee camps on the Western Sahara-Algeria border. Central to the apparent scoop is an interview with Fetim Sallem, a 36-year-old mother of four. 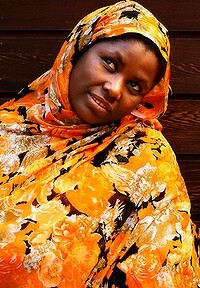 She was in Australia to explain her story, which is significantly at odds with the film's take on it (so much so that Fetim requested unsuccessfully to have her interviews removed from the film). 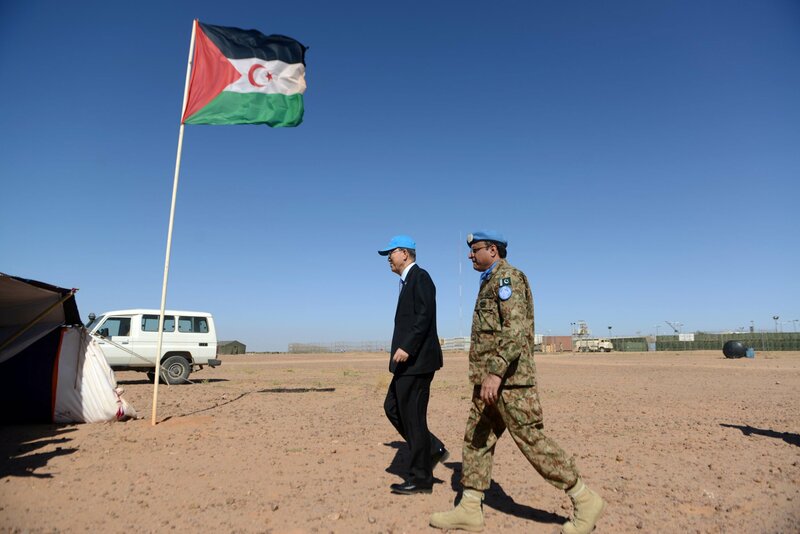 to mark 35th anniversary of the Polisario Front. Photo by EPA/MOHAMED MESSARA. Spain colonised Western Sahara and its mostly nomadic people in 1884 claiming it as a protectorate of the Spanish Crown. Spanish rule over Western Sahara was codified in Berlin in 1885, where Africa was carved up among the European powers. The period of Spanish rule was marked by ongoing resistance, revolts and armed clashes with the indigenous population, with its liberation movements being brutally repressed by the Spanish authorities. A 1966 UN resolution called for Saharawi people’s right to self-determination to be exercised via a referendum which never eventuated. The lack of political developments led to the formation of Popular Front for the Liberation of Saguia el Hamra and Rio de Oro (the Polisario Front) in 1973. Polisario was conceived as a nationalist front with the aim of achieving independence, and encompassed all Saharawi political trends.